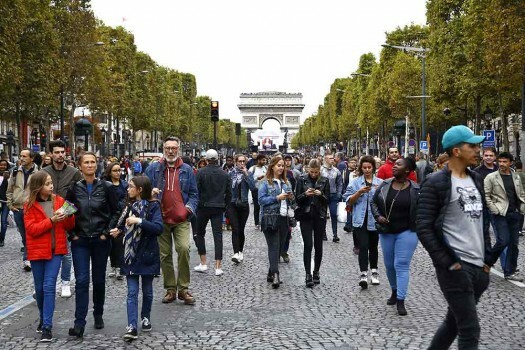 People walk on the champs Elysees avenue during the "day without cars", with the Arc de Triomphe in background, in Paris, France. 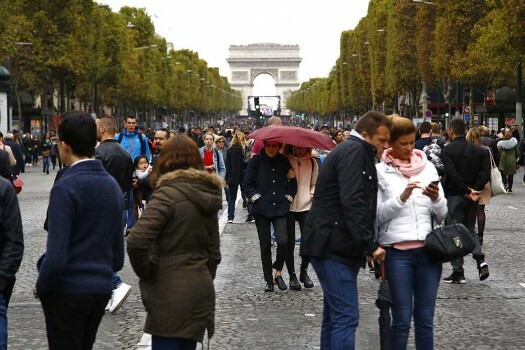 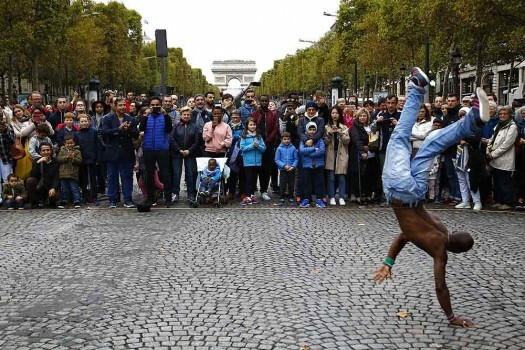 People watch a dancing performance on the champs Elysees avenue during the "day without cars", in Paris. 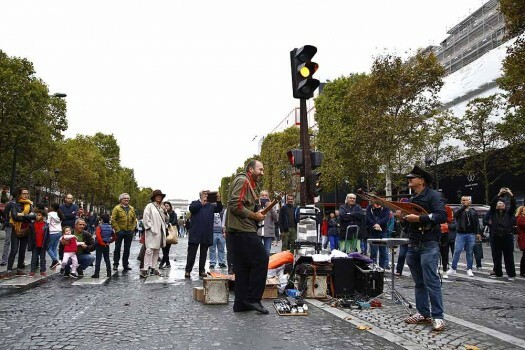 A band perform on the champs Elysees avenue during the "day without cars", in Paris. 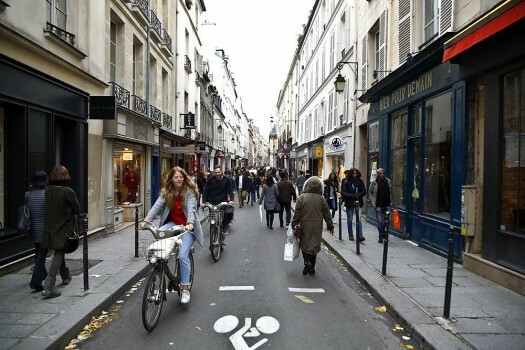 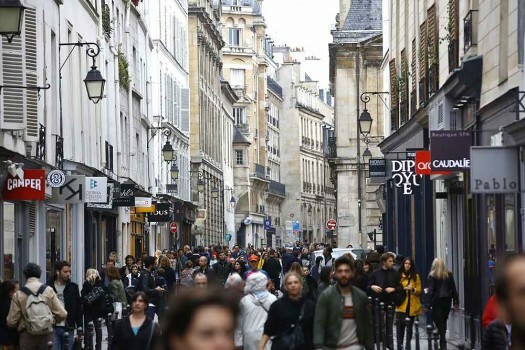 People walk and ride in a normally busy street in the Marais district of Paris during the "day without cars", in Paris, France. 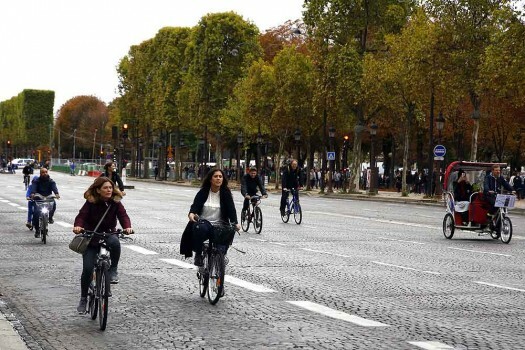 People ride bicycle on the normally busy Champs Elysees avenue during the "day without cars", in Paris, France.